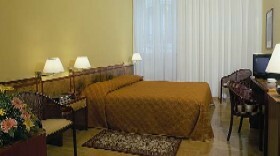 The Hotel Memphis is in the heart of Rome, a 5 minute walk from the Trevi Fountain and Spanish Steps. Each room has free Sky satellite TV channels and a mosaic bathroom with crystal sink.The Memphis Hotel is in a restored 14th-century building on a quiet side street in central Rome. It is less than half a mile from Rome%u2019s main shopping street, Via Del Corso, and a 5 minute walk from Barberini Metro Station.Soundproofed and air conditioned, rooms come with design furniture and hardwood floors. Guests also have an LCD TV. 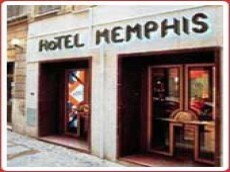 The MEMPHIS is a Tourist hotel. Located in City Centre - Via Tritone area. Shopping is accessible by bus/taxi and the nightlife/restaurants are easily accessible by taxi or bus from the hotel. Descriptionclass="small" style="text-align: justify; font-size:11px;">The Hotel Memphis is in the heart of Rome, a 5 minute walk from the Trevi Fountain and Spanish Steps. Each room has free Sky satellite TV channels and a mosaic bathroom with crystal sink.The Memphis Hotel is in a restored 14th-century building on a quiet side street in central Rome. It is less than half a mile from Rome%u2019s main shopping street, Via Del Corso, and a 5 minute walk from Barberini Metro Station.Soundproofed and air conditioned, rooms come with design furniture and hardwood floors. Guests also have an LCD TV. My partner and myself stayed at this hotel for 10 days in September. We had been the previous year and returned because it is good value for money. If you want 5* service then go to a five star Hotel! Our room was spacious and spotless. Bed linen and towels changed almost every day. The tv had a good range of English channels -not there for the TV but worth a mention! It is in a good location for the shops, bars etc. We were all inclusive and the food was ok. 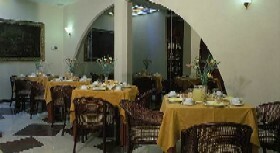 The breakfasts were very repetitive but you certainly would not starve! Different type of egg every day - either fried, scrambled or omelette. Always boiled ones! Itâ€™s a shame there is no toaster but the bread and the bread rolls were very tasty. We had a car so weâ€™re not there during the day so canâ€™t comment on lunch but the evening meals were again, ok. Not a lot of choice for vegetarians which my partner is but again, he always managed to find something to eat. The soup was always very good. The waiters and waitresses were just a bit too quick off the mark to take your plates! We had to take it in turns to go for food for this reason which was a bit annoying. The guy serving the drinks in the bar was an absolute star. What a great guy! Very pleasant and always smiling! The local drinks were quite palatable but not the cocktails! The pool area is very nice. No towels yet on beds which was refreshing to see. There are two pools to choose from. We used to go to the beach most of the time which is about 5 minutes drive. Tsampika beach is amazing! We did stay by the pool on our last day and it was lovely. Nice and quiet surprisingly. We seemed to be the only British people there during our stay but please donâ€™t let that bother you. It didnâ€™t bother us in the least. Also there very few children at the hotel which was a bonus! I must give a mention to one of the receptionists who was very helpful when I needed directions to the hospital in Rhodes as my sister had a nasty fall whilst in holiday (not at this hotel). She was so kind as I was in a bit of a state! She also helped us when we lost our key to the safe deposit box! This was just before the bus was due to pick us up for the airport! But she arranged for someone to come quickly with a pass key. Just in case she reads this - we found it in a bath bag when we got back! Random or what! All in all we had a great holiday apart from the hospital blip. Kolymbia is a great base to go to all parts of the island. It is definitely worth getting a car. Pick it up from the airport as it is a long way on a bus transfer. We stayed for 14 nights and found the hotel clean and well appointed. We stayed in room 212 good room bathroom etc beds good room cleaned 6 days Sunday bins emptied only. Plenty of hot water but you need air conditioning it should be provided as standard because you do need it. Great staff here they work really hard to make your stay a great time. Bear in mind that the holiday season is May to October in Kolyimba and then the resort closes down so the staff work long hours mostly 7 days a week so help them by being good guests. There are 2 pools there are wasps around the edge of them but I found if you don't bother them they won't bother you I didn't see or hear of any one being stung the 2 weeks I was there. Plenty of sunbeds and parasols soft drinks etc ok . Now the bits I didn't like food got a bit repetitive seemed the same thing most days, air conditioning it should be provided as standard because you do need it, only 2 nights of entertainment in the 2 weeks I was there not good enough as we were all inclusive and we had to go out of the hotel to find entertainment also information books about the island of Rhodes in all languages apart from English. 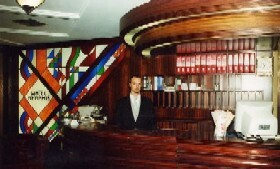 Good hotel great staff needs to sharpen up it's act on the things I've mentioned. Customer service: shocking!!! We asked to extend our room 2 days prior to our departure date (as specified in the leaflet) as we had a late night flight, to be told to check again the next day. We went back the next day to check again and were told there is no rooms as all the new guests where checking in during the morning of our departure, obviously not happy with this we asked to speak to a manager and where told to come back in the morning which we did, to be told the exact same thing! When we questioned where we were supposed to shower given the 34 degree heat we were instructed to shower by the pool!!! In the shower cubicable in the previously mentioned unclean toilets.... no thank you! Attitude was poor, absolutely no care or consideration was taken to cater for us as "old guests" and due to been delayed in given a response we were unable to book another hotel for that day. All in all a bad experience and would advise anyone against going here. - Rhodos/rhodes was so hot and humid when we were there...that being said u must pay for ac in your room! I knew it before so we werent suprised but still its kinda of hidden fee that almost everybody will pay. It was 7â‚¬ per day. - Wifi again must pay which is normal in many hotels but come on..its 2017...we spend our nights out in bars were was free wifi..didnt pay to hotel. I think ist 10â‚¬ for day. - No mosqito protected nets.It should have be at least in bathroom where u most of the time have open window.